There are many ways to treat a herniated disc including non-surgical and surgical options. A surgical option is a discectomy procedure. A discectomy addresses the pain caused from a herniated disc by removing part of the disc to relieve pressure on the nerve and prevent the disc from irritating the nerve. 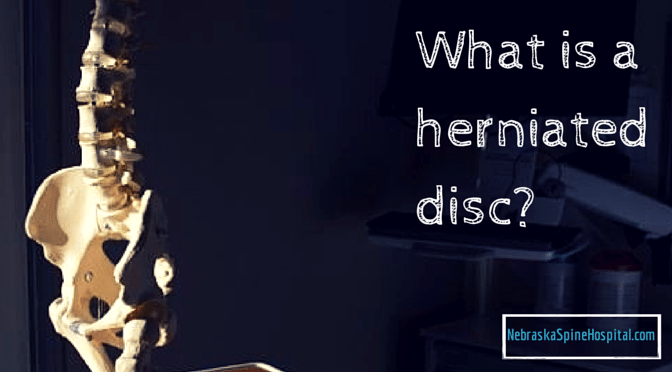 How is a discectomy done to treat a herniated disc? During the procedure an incision is made to expose the vertebrae above and below the herniate disc. Next, surgical instruments are used to remove apportion of the lamina to provide access to the herniated disc. The herniated portion of the disc is removed to relieve the pressure on the compressed nerve. Check out what Dr. Eric Phillips has to say about herniated disc treatment. If you or a family member is suffering from back pain, Find a doctor today with one of our board certified and fellowship trained spine surgeons to discuss your surgical and non-surgical options. Follow us on Facebook and Twitter or sign-up for the Healthy Back Newsletter to learn more about spine health for the whole family.